Constructed in the early 1800s, the Ashbourne Longhouse is one of the oldest surviving private residences in the province, and a good example of Georgian-inspired merchant class housing. The longhouse style of construction is very rare in the province. The physical grandness of the house is tempered by a symmetrical facade lacking in decorative features, which creates a sense of order and simplicity. The Asbourne Longhouse is a good example of Georgian-inspired merchant class housing. The Ashbourne Longhouse stands as a physical reminder of the prosperity of businesses involved in the fishery and related industries throughout the nineteenth and early twentieth century in Newfoundland. 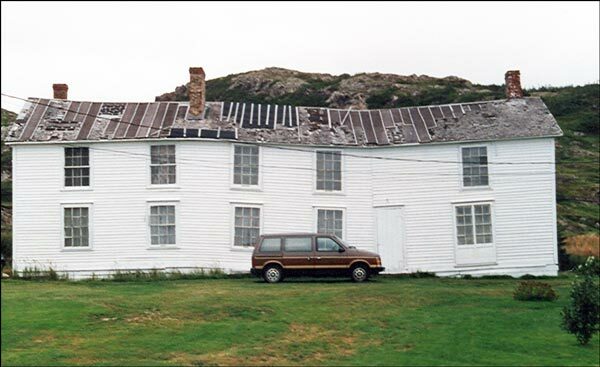 Successive owners of the home were influential residents in the community of Twillingate, and in some cases were important actors on the provincial and national level. William Menchinton is believed to have been the first owner of the property. 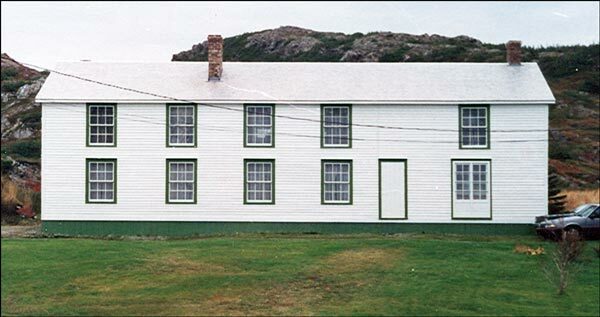 A native of Somerset, England, Menchinton had a mercantile establishment, fishing room and houses in Twillingate, as well as other locations in Newfoundland. It is unknown whether he bought these premises from another owner or had them built himself. A view of front façade of Ashbourne Longhouse after restoration. The longhouse style of construction is very rare in the province. In 1852 Edwin Duder Sr. purchased Menchinton's premises in Twillingate. Duder was the owner of a large mercantile firm in St. John's with Twillingate being one part in a series of smaller establishments on the northeast coast. The Longhouse was used as a residence by Duder and his family. Upon the death of Edwin Duder Sr. in 1881, his son Edwin inherited the business. Deeply in debt to the Commercial Bank, the firm collapsed when that bank crashed in 1894. William Ashbourne, a prominent Twillingate merchant, bought the house in 1897. Ashbourne outfitted schooners for the Labrador fishery as well as ships participating in the seal hunt. He exported fish and seal products, contributing to the economic growth of Twillingate. Upon his death in 1922 his son Thomas took over the business. Thomas was a member of the House of Assembly in the 1920s, and a delegate to the National Convention (1946-48). After confederation with Canada, Thomas Ashbourne represented Grand Falls-White Bay-Labrador in the House of Commons. The Longhouse was left to his daughter following his death in 1984. The Ashbourne Longhouse was declared a Registered Heritage Structure by the Heritage Foundation of Newfoundland and Labrador in May 1991. Also view the Ashbourne Longhouse Registered Heritage Structure, and the Ashbourne Longhouse Municipal Heritage Site on the Heritage Foundation of Newfoundland and Labrador web site. The Newfoundland and Labrador Heritage Web Site has on its site only a portion of the registered heritage structures in Newfoundland and Labrador. To view a complete list or search for a particular structure visit the Heritage Foundation's Property Search page.